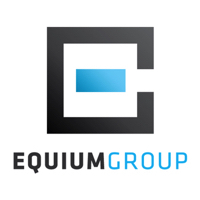 Founded in Calgary in 2011, Equium Group is a fully integrated real estate organization specializing in commercial and residential real estate services. Equium Group’s scope of services include: property and condominium management, brokerage sales and leasing, property investment, development and project management. Equium Group’s current portfolio under management is valued in excess of 300 million dollars. Our clients range from individual investors to high net worth individuals and multi-billion dollar private equity organizations. Marquis Calgary buildings under management include 639 5th Avenue SW and University City. The organization employs a full-time staff of 11 real estate professionals focusing on best management practices with emphasis on environmental stewardship within the built environment.